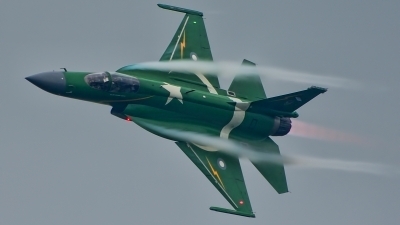 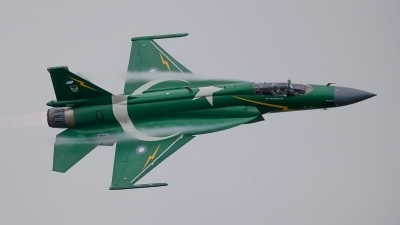 Highlight of the Radom air show 2018 - Pakistan air force JF-17 Thunder solo display. 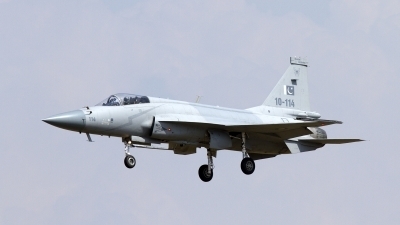 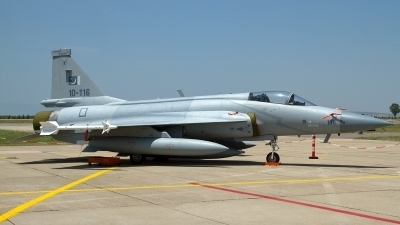 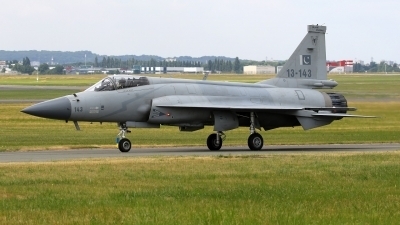 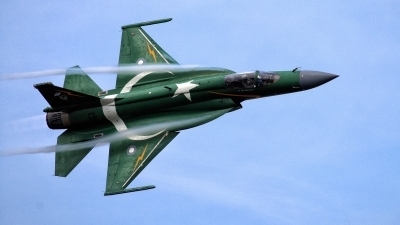 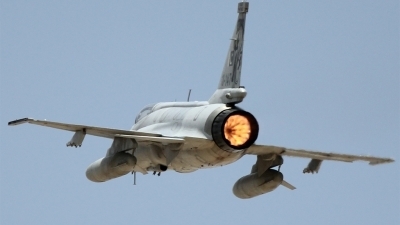 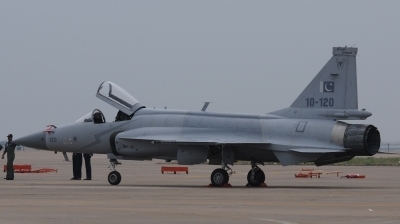 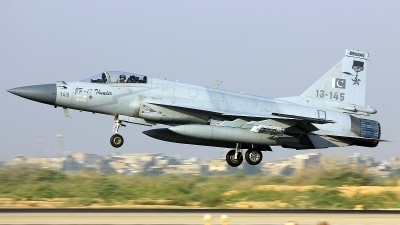 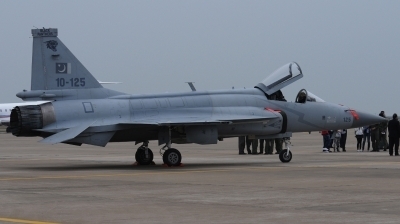 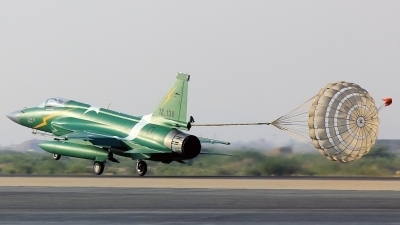 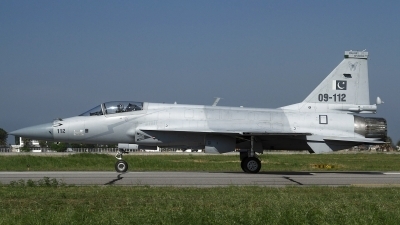 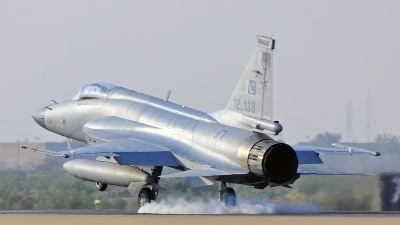 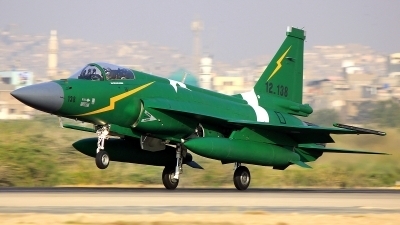 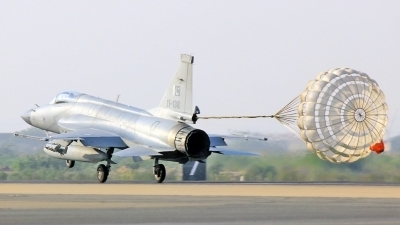 This JF-17 (Block I) with national flag c/s is assigned to 14. sq. 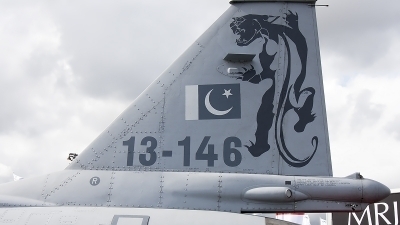 "Tail Choppers" at Minhas-Kamra AFB (OPMS). 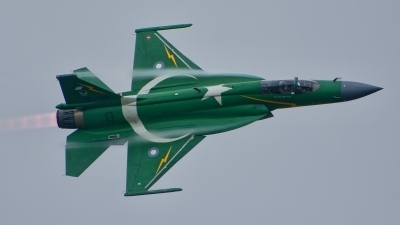 Thunder in Pakistani Flag color scheme. 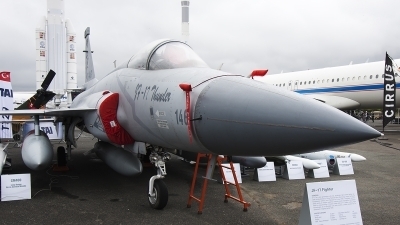 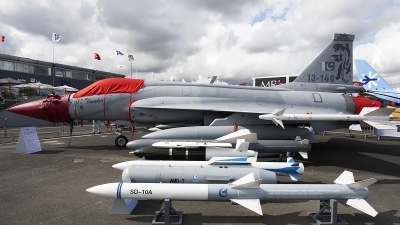 Pakistan Air Force JF-17 "Thunder" (13-146), with a fogged cockpit on a wet morning during the 2015 Paris Air Show. 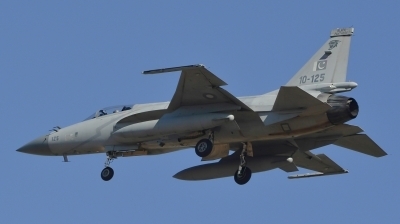 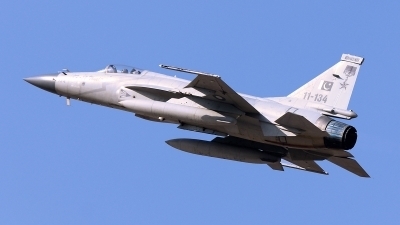 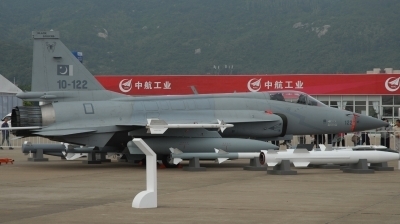 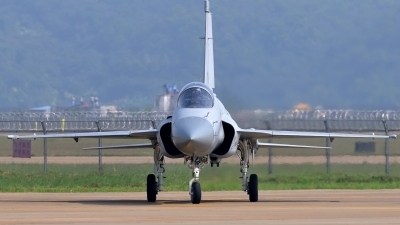 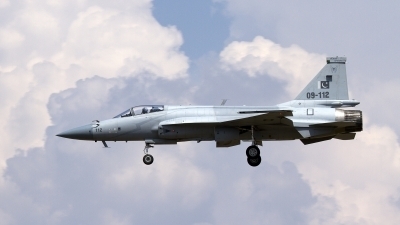 The JF-17 is developed jointly by the Pakistan Aeronautical Complex (PAC) and the Chengdu Aircraft Corporation (CAC) of China.